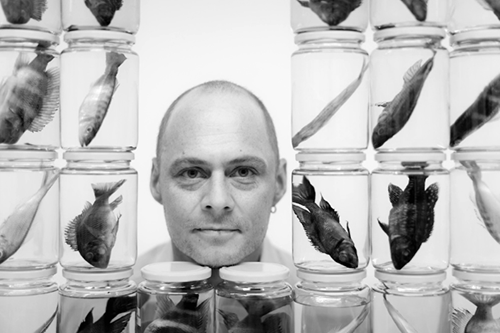 Walter Salzburger is Associate Professor for zoology and evolutionary biology at the University of Basel in Switzerland. He received his doctoral degree in Zoology in 2001 from the University of Innsbruck in Austria. After being a post-doctoral fellow at the University of Konstanz, Germany, he moved as junior group leader to the University of Lausanne, Switzerland, and joined the Zoological Institute in Basel in 2007. The research of Walter Salzburger and his group focuses on the identification of the patterns and molecular mechanisms that underlie adaptation, evolutionary innovation, and diversification. Walter Salzburger’s main organismal study systems are the exceptionally diverse adaptive radiations of cichlid fishes in East Africa, and, in particular, the cichlid species-flock of Lake Tanganyika. The laboratory’s homepage at www.salzburgerlab.org provides further details on the group’s (research) activities.